Wow! 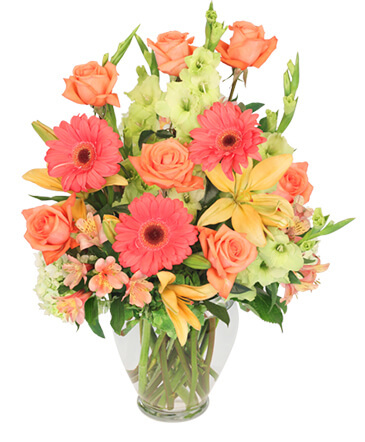 That’s what they’ll say when this explosion of color arrives at the front door. 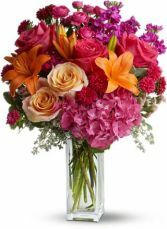 They’ll love the flowers, the clear glass vase – and you for having such exciting taste. A win-win for everybody! 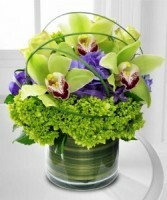 Send this upscale cymbidium orchid design with green and purple hydrangeas.